Is your vehicle’s audio or video system ready for an upgrade? Having provided the car stereo installation Atlanta has relied on for over 15 years, our experts here at Drops Mobile Electronics are ready to help. Whether you have a product that you have already purchased, or you would like to choose from one of our trusted brands, we have the experience and knowledge necessary to get the job done right the first time. A new car stereo provides superior quality and a range of built-in features not found in factory radios. From satellite radio to Bluetooth connectivity for hands-free phone calls, we will work with you to ensure that you are receiving the products and services that will make life in your car safer and more fun. We employ a full staff of experienced professionals who are dedicated to understanding your individual needs. 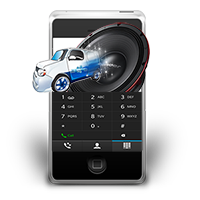 Offering the car audio installation Atlanta residents trust most, we at Drops Mobile Electronics provide superior service by meeting our customers at the location that is most convenient for them. As a mobile company, we eliminate the need for driving to a shop and wasting the afternoon waiting for service. Providing a full range of services, our experts here at Drops Mobile Electronics can offer a wide range of audio and video system installation and design options for your RV, car, golf cart, or fleet vehicles. Our specializations include complete audio and video system installations whether it is custom or OEM.